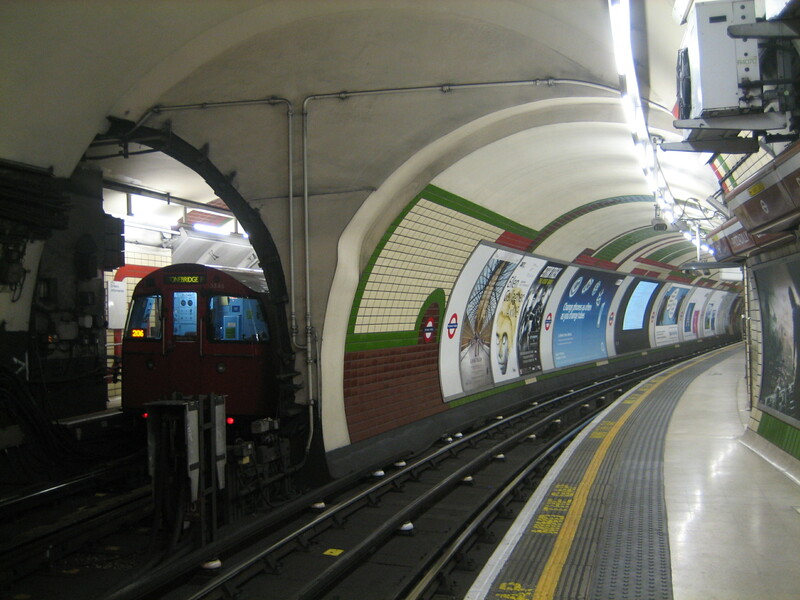 Stand at the northern tip of the northbound Bakerloo platform at Piccadilly Circus and it feels like you’ve strayed into a corner of London that isn’t finished. You’ve wandered off the edge of the film reel. A bit of reality’s scaffolding has fallen away. 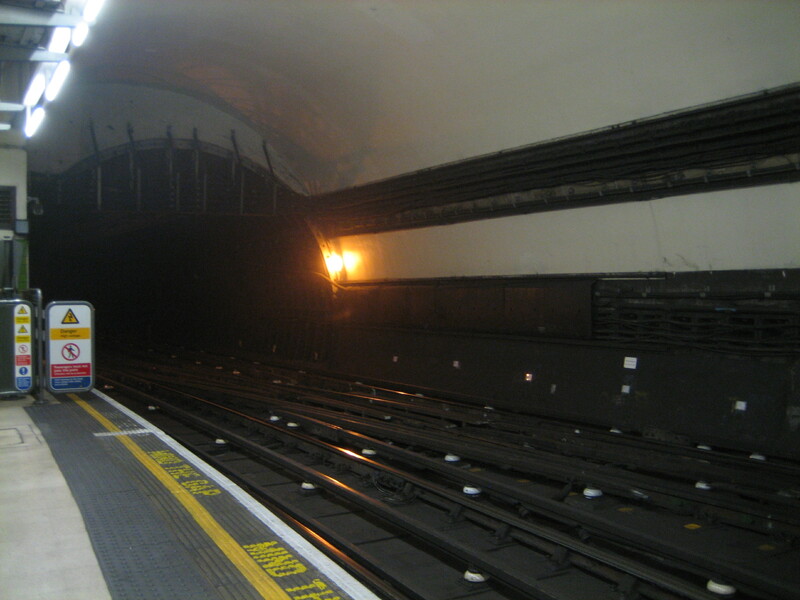 The view you have is one you ought not, by any conventional, predictable measure of the Underground, to be seeing. And yet there it is. A platform that isn’t. Or is it? Behind you, a double set of rails curves out of the darkness. They part, clearly bound for different destinations. Yet from your vantage point, those destinations dissemble into something of a dimensional muddle. Oh dear. You’ve blundered through the bit of wallpaper by the closet that took Homer Simpson into the land of 3D pointy things. Or possibly looked into the heart of the Tardis. 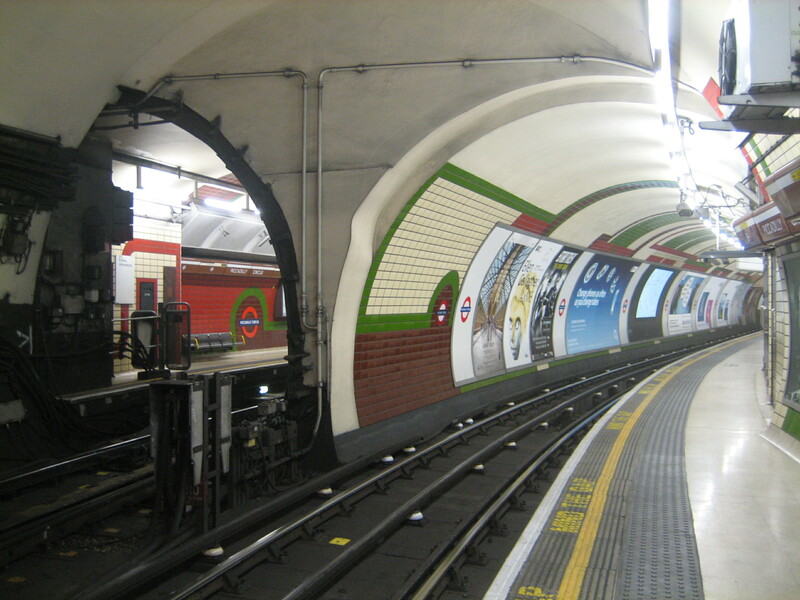 Or else there’s a bit of a misalignment of platforms, thanks to a bit of a miscalculation of tunnelling, causing a bit of a miscellaneous great thing about the Underground. Look, there’s the end of a train. Or is it the front? There’s nothing telling you not to stand here – except every instinct in your body, and every synapse of your brain. And yet.. it’s really rather fun. I’ve always loved this part of the station as well as the spiral stairs to the Piccadilly line!